Here you will find information about the OROGOLD brand, its products and ingredients, and the latest in skin care, beauty and wellness. OROGOLD School was created to be an educational resource both for customers and the OROGOLD skin care consultant staff. We believe an understanding of skin care science and technology, along with knowledge of the latest trends and opinions is the key to achieving the optimal long-term results. Take a look around to discover all the site has to offer. Thank you for visiting OROGOLD School! 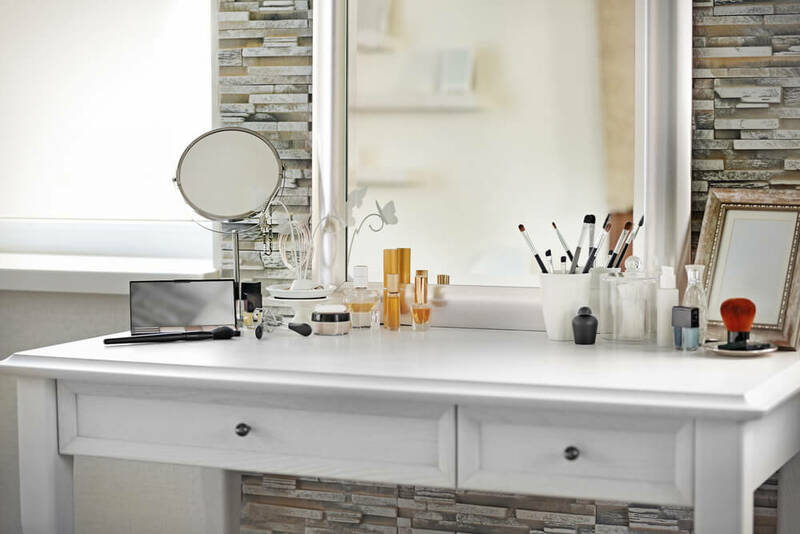 OROGOLD was established to provide consumers with proven, yet innovative skin care solutions with an emphasis on a luxury experience and visible results. Each OROGOLD product collection addresses a different skin care concern and suits a variety of skin types. 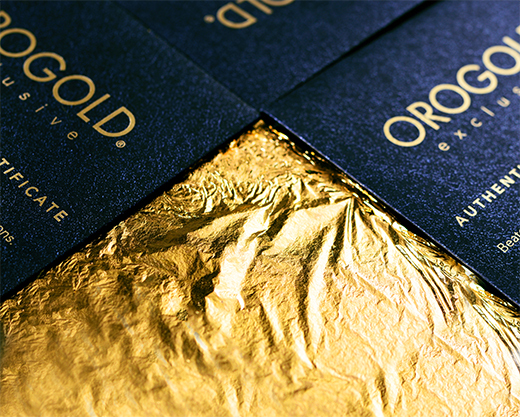 The OROGOLD brand was named after its signature ingredient: 24K gold imported from Italy. Gold has been synonymous with beauty and luxury since its discovery. Although it is not known for certain when gold was first discovered, it is presumed to have been discovered by early hominids. There is mention of gold in the Bible which is believed to have been committed to paper beginning nearly 3500 years ago. Ancient Egyptian documents and inscriptions contain references to gold mining, geology and metallurgy dating back to at least to 3100 B.C. Ancient royalty was enamored with the metal; Cleopatra was rumored to have slept in a gold mask every night. Other ancient cultures such as the Romans, Japanese, and Chinese also have a well-documented history incorporating gold into their beauty regimens. Gold is a representation of the OROGOLD experience – sumptuous and fit for royalty. The welcoming feel as soon as you walk into a location is no accident. Our staff is trained to provide clients with a pampering and educational experience. 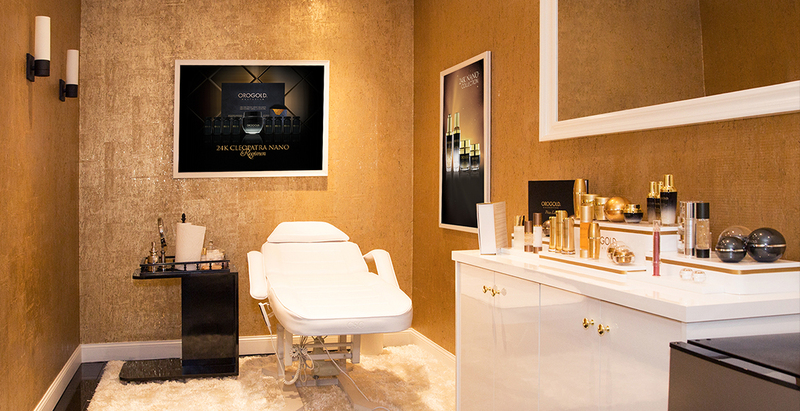 The beauty advisors at each location are educated in the world of skin care and with knowledge of OROGOLD products. Complimentary facials and one-on-one consultations are offered in-store, giving you the opportunity to "try before you buy". It is our aim that every customer walk out feeling confident and excited about their purchase. We deliver the same indulgent experience at home with our beautifully designed packaging and one of a kind product formulations. Each will delight your senses with their enticing aromas and fabulous textures. Our products are more than a sensory experience. They deliver effective results as well. Each product goes through strenuous testing and lab research before being produced for sale. This ensures that the benefits lead to tangible results and are not just empty promises. Customer feedback attests to the outstanding effects of OROGOLD products. OROGOLD has quickly expanded across the world, with retail stores in more than 23 countries. Still unable to reach every customer, OROGOLD School was created as in additional resource to our consumers and sales representatives. 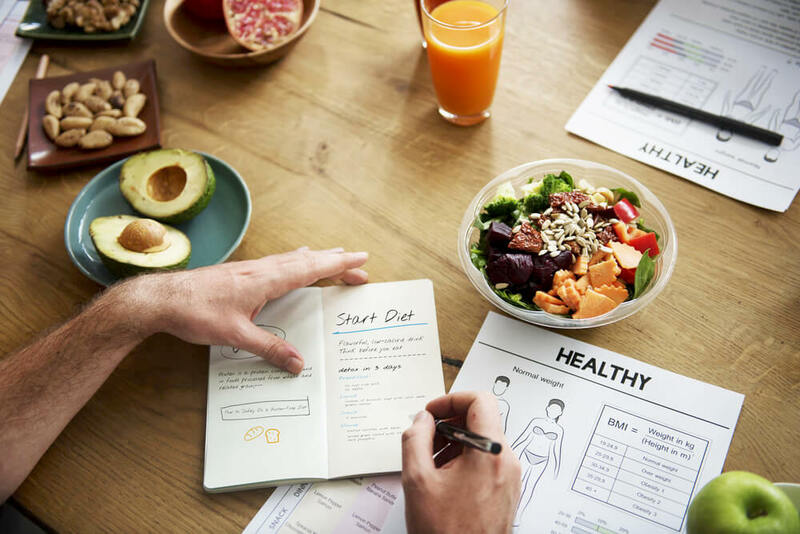 In order to help you understand the benefits each product and collection offers this site includes ingredient information. The ingredients will be explained, offering information on what they are, how they work and why they are used in skin care. The best way to know what your skin care products are doing for you is to understand what they are made up of. You will be confident knowing that only the best stuff is used in the products you put on your body. Besides our signature ingredient gold, we use many different components in our product formulations. They are custom blended in our manufacturing facilities to provide the best combination for effective results. Some other notable ingredients utilized in our products are DMAE, short for Dimethylaminoethanol, Hydroxy Acids, Peptides, Collagen, and Palmitoyl Oligopeptide, among others. We select the most effective ingredients for our products and want you to feel assured of that. Losing excess weight can definitely feel great, but what do you do with all of the loose skin that has been left behind? This can be an even bigger problem if you have lost your weight quite rapidly. 269 Responses to "ORO GOLD School"
I would love to treat my skin to something this special. It sounds wonderful. This product would be great for my skin. I SO need a chance to experience the ORGOLD products on my face…especially anti-aging ones…..I have heard SO many WONDERFUL things about OROGOLD…but have spent a fortune already on Skin care products and have found nothing as yet that does what it says it will do….even the slightest bit….Would Be SO appreciative If I won this Giveaway!! Tried the hand cream and body lotion and loved it!!! Would really like to try another product! Would love to win and pamper my skin! FAB GIVEAWAY… MY FINGERS ARE CROSSED! I’D LOVE TO WIN OROGOLD PRODUCTS. I would love to try this! Thanks for doing this giveaway! I tried a sample at the mall and cannot wait now to buy the product. My skin felt so smooth. I can’t explain it eally, it is so much better than other things I’ve used. Just bought the products, they’re cool! I really want to try this, I am aging and I need help! I really would love to try the caviar products! Can’t wait to try these products. Love the website! Great reviews! I have had a lot of problems with my skin and I would be willing and would love to have the chance to see if this could help me! I have spent a lot of money over the yrs trying to find a product that will help my sensitive skin! Thank you for the chance to win this, I would never be able to just buy it!!! Looks like a wonderful product! Am looking forward to learning more about it! I love these products, absolutely amazing. I have introduced family and friends, and turned them into believers! would love to try more products. WOULD LOVE TO TRY THE CREAM PRODUCTS HEAR GREAT THINGS!!! I pass the Century City location and the staff are always handing out samples. I have a tendency to drop them in my handbag and forget about them but this time I decided to take them with me on a business trip rather than carry my normal moisturizer. In four days the difference in my skin is visible. I’m hooked!!! My husband and I were walking past the store and a sales person handed me a bag with a sample in. Then came back grabbed my arm and said let me show you what I can do for your eyes. We went in, and we were sold on the product. My husband was surprised that with one treatment there was a significant difference. I have tried some many different products but was getting more and more frustrated with how my face was aging and did not want Botox or surgery. I’m so happy we went in and tried the products. Yes it’s expensive but it has amazing results and last a long time. When the salesperson put the deep peeling cream on my hand and showed how the dead skin flaked off and rub in the moisturizer on both hands, what a significant difference. The hand with the peel absorbed the cream, the hand without she had to rub and rub. To get cream to go in. I would really like to try your products! I love Orogold products, I am convinced that the price is nothing compared to the results! I’ve been looking at these products for a few months now. The videos showing people demonstrating them are really helpful and have made me want to try them. I wish I lived close enough to one of their salons to get some samples because they are just too expensive for me to experiment without knowing what results I would get. I hope I win because I really would love to try them. I would love to try 24K Caviar & Sea Kelp Mask. Great products! Definitely one of the best! Quality products are worth the money. I was shopping at the mall yesterday and was mesmerized by the sales per who was so friendly and inviting.I tried a peel and was instantly hooked.I saw visible results immediately but wanted to wait and see if they were temporary so I walked away.Well today I am heading straight to the mall to buy Orogold and ditch the tons of anti-aging creams that have yet to deliver on their promises.You don’t need gimmicks when the stuff really works. Je n’ai jamais entendu parler de ces produits de luxe et j’aimerais bien en gagner car ils sont dispendieux. Fab! I so wanna try! Very informative website. Love their products. Would really like to try! I would love to win & to try these products! I am always trying to find something to reverse skin damage from aftermath of health problems. I’ve tried a lot of products with no results, need something that works. These products sound so wonderful. I would really love to try it some day! Thanks for the giveaway! I would love to try Orogold products, hope to win! Sounds like such great products! Hoping to try out soon! I would love to try this!! Thanks for making it possible! I’m a cosmetology student specializing in skin care and would love to try this line! Your website is one of the most informative skincare sites I’ve ever seen. It’s outstanding. Thank you for all the knowledge. Great products, too! I would love to try this. I’ve been reading about and it sounds amazing! These reviews might encourage me to purchase some! I was in the mall today just walking around and browsing when a women at the store gave me a sample. Normally I would avoid sakes people but today I took the sample and stopped to talk. I’ve had an extremely bad week and just wanted to take my time and so I thought I’d hear what she ( Lidiya) had to say. She could see I was very tired, drained and sad after we had talked for about 10 minutes about the products & peel which she demonstrated on my hand. She was not a pushy sales person which is why she got so far with me. Anyway, she even made me a coffee and demoed other products on my face ( a free mini facial ). I ended up buying the peel, night cream and eye serum as well as a body lotion which was at a bonus sale for me. I had a great experience there today and love my new products. I love reading about discoveries in the fields of anti-aging and longevity. This line sounds amazing would love to try these products. I would love to use this …it will be a one of a kind moisturizer…so have to try it. My hands are pretty dry and all the thing keep slipping out of my hands. A friend recommended this make up..so I decided to check it out..love the products! This product better make me look like a million bucks because it is worth $600!!! So hoping to win this! Awesome information! Would love to try this!! I got a demo of OROGOLD cleansers and moisturizers and they were amazing. Love all the wonderful information, that I can also pass along to all my beauty guru’s! From what i have bought from orogold, when i use ttheir lotion, it takes away that tired lookthat i get when ive put in alot of hours at work. I wanna try your products. Would love to compare it to my current skincare products. Love these products. Had a facial today with them and my face feels so much better. Oro gold products are amazing.. The smell and softness of the lotion is the best I’ve ever smelled!! I can’t wait to try the rest of the products!! I’m a huge fan! Great stuff – never disappoints! I have rosacea and this works amazing !!!! All the read in my face is gone ! I can’t say enough good about how great this is !!!! Just had mini facial! Fantastic. I bought products today and I am positive this is beneficial. Great results with just a facial and one time use of products. I want more. Especially the diamond mask. I like that your products and their ingredients are explained thoroughly and clearly. It is helpful to be informed about what I might be putting on my skin. I would love to have some of these products. I tried the sample I got and loved it. I used the face creams for a year – amazing! I am going to a facial this month i cant wait! I am very interested to see what Orogold products can do for my skin. I am very into the latest scientific breakthroughs. I just learned about orogold and can’t wait to use more! This product looks amazing. Would love to try it! Amazing. Products! I have been using the firming series for a few weeks and see a noticeable difference! I was able to sample these products and I absolutely love them! I was introduced to OROGOLD over the weekend and love the products! Truly a new fan and already seeing the difference with puffiness around my eyes. Thank you. I have not tried this product as of yet , But I would love to try it. Thank you for the chance. Silky, dewy, beautiful. I fell in love with this day cream the minute I tried the sample. My skin has never felt so soft and supple. Oro Gold is something I look forward to trying! Thank you for the chance to win! Great website. I love the beautiful design and packaging and only the best ingredients are used in the products. Not Tried As Of Yet … But One Must Hope ….. Tried orogold moisturizer yesterday – loved it! Had a demo of the deep peeling and fell in love. Wish I could afford this product. Hope luck is on my side to win this free sample. My face needs this product! I was shopping around and I had a demonstration done on my hand of just a sample of how amazing the MultiVitamin 24K Deep Peeling works as the woman rubbed my hand and I seen how all of the dead skin peeled off my skin I just knew I had to have this product and I absolutely love the way it smells. I absolutely cannot wait to begin using to clear and renew my face. Very interesting. I have never heard of putting actual gold into a facial cream before! Definitely would love to try this out. Wonderful product. What a difference in just 2 weeks. Skin is looking beautiful. I have an Uncle that is DIabetic and his feet and hands are terrible nothing works for the dryness he feels I was using a very good moisterizer for . Very well known name but i came to the conclusion that I should try the OroGold for this. So i got some and he is loving it. You can see a difference right away its such a dramatic transformation. Thank you so much. I love the product and it keeps my skin looking fabulous. Great giveway!Thank you for the opportunity! i have been using this product since i was 13 and it was one of the best decisions of my life! I love this product and it works so well with my hair! Cannot go wrong with the Vitamin C booster – this product has improved the appearance of my skin. I also use the bio-brightening to reduce the sunspots – great products! I think Oro gold it’s a value brand! I love to keep up to date on all things. World news, food, crafts, photography, skin care etc. I love to try new things and read about new things. Wow, I must try! My Dear friend called me on the tellie very early this morning raving about OROGOLD! She’d purchased yesterday after visiting the store and having a FREE 24K Mineral Facial with one of your skilled beauty representatives. Last night, my friend applied OROGOLD on her neck and awaken to it appeareing more youthful, less wrinkly and soft to the touch. Now, I want to know everything about OROGOLD products! If it’s good for my Dear friend & Cleopatra… I’m excited and eager to try!!! I have heard AMAZING things about this brand and it’s products. I hope I’ll be able to try some of them out some day. Thank you for this Fabulous Giveaway! I love Orogold Beauty & cosmetics! Love to stay up-to-date in the makeup! I would love to win these skin care items!! Have never heard of this brand and am intrigued! I need a night cream right now and this one would be a good one to try. I am not satisfied with my creams I have now! Just started to use this product. Love how it makes my skin feel. I’ve heard about the benefits gold has to skincare before, but this is the first product line I’ve seen that utilizes gold in their collection. I’m inquisitive and would love to try it on my skin. I love reading about discoveries in the fields of anti-aging and longevity. This line sounds promising! These cosmetics sound wonderful and very much needed! This is a nice Giveaway,thank you for the chance. bellissimo give e fantastici prodotti! I almost bought your products today but I am afraid to spend tge money and not lije it! I was extremely skeptical about this product until I tried them. Fine lines diminished, redness disappeared in as little as two weeks! Oh my goodness, your products look to be absolutely heavenly. As I’m aging, I really need to step up my skin care regimen. These products are just what I’ve been looking for! Am excited for the oppertunity to try these products. I have heard such great things!! Thanks for the chance. I am searching for the right products for my age and skin type. I haven’t tried Orogold yet, but it sounds pretty wonderful. At 55, I’m always looking for new products to use. Most of the products I used in my younger years just don’t work with my aging over the years. Thank you for the opportunity. Love the products. I purchased 27 products from Orogold and love them! What a difference it makes in my skin! Hope I win some products! Simply in love with the Orogold nano line. Decided to purchase a few days after having a facial with Orogold which was really a luxury treat, the difference is visible after just a few weeks! I enjoy exploring new beauty products. for me this product is awsome specially the middle age . i want 2 to know more about this product OROGOLD…. I have been intrigued by Oro Gold ever since I found out about it about a year ago. I would love to win! The Orogold products sound amazing, I can’t wait to give them a try. Thank you for sharing this review. I tried Orogold and I love how it works on my skin. It leaves a silky feel and nice glow. Nice products. I really like this concept. I don’t normally post reviews about products but my boyfriend bought 3 Orogold products and after the first use, I noticed a difference. Orogold has become a part of our daily facial skin care. Amazing product!! Thank you for the opportunity, I love to try new products. 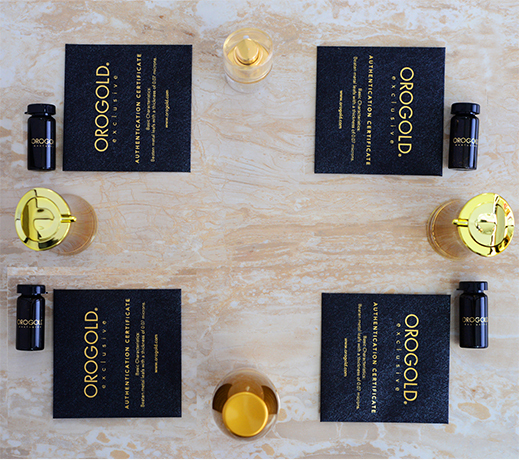 I love this breakdown of what Orogold is about and what product collections are available. Love this information. OROGOLD is a wonderful skincare line and I would recommend it to anyone! 15 different collections is a lot. I love them all!!! !…Fingers crossed!!! Orogold products are very good and I love their advertising. Learning more about your products and your company here makes me more eager than ever to try your skin care. I would love to try it out 🙂 The last few months I’m trying to find the perfect product line for my every day skin routine. Maybe the 24k Daily Essential Kit is the perfect one for me. I had no idea there is a school! Would make a great present for my mom. Very informative. Thanks Oro Gold. I do hope I am lucky enough to win. I am always looking for new skin care products to try. Orogold looks like a product that I would definitely try and use. I love the easy to use layout of information. Thank you. I would love to try these great skin care products! I have not tried this, but have heard great things about it. Can’t wait to use it myself! Have never tried one of these products, but would love to! Happy New Year! Never heard of this product before. The video I watched gave interesting information of the product. I would love to try your products!!! Would love to win! This looks great! I like to try new face products.Always searching for heavy moisturizing face products! Exciting information. Others should review the information and enter too! OROGOLD is my trusted brand , I am very satisfied of the result by using OROGOLD, I am now happy because I’m look young and I have additional confident..
My wife bought the Eye kit due to excessive crows feet and after a couple of days she returned for a facial and the results were amazing. She has tried many different products over the years and had given up on trying anything else. Well they sure made a believer of us in this product. I love Oro Gold products! It has transformed my skin! This is very informative. Interesting facts about skin cells. I like learning the history of the products before I use them. I would love to try the oil control collection. Hope nexttime you could give an oil control collection giveaway. The best and most advanced skin care system I have ever used. I loooooove your products sooooooo much I have a lot of pins on pinterest. Yay! testrite is my pinterest name. I LOVE GOLD and OROGOLD!!!! I would be honored to try this line…I was lucky to have a sample of Facial booster C serum and completely loved it! I wish it was a bit more affordable:-( Fingers crossed…maybe I”ll win:-) Just turned 35 today and its just right time to start using something more advanced and “real”. So I don’t usually leave reviews, but I really wanted to for this brand. The 24k moisturizer is SO good! Let me explain – I work in the mall and they hand out sample packs of the moisturiser and usually when people are trying to hand me things, I tend to avoid them. However, one of the sales people got a hold of me and gave me a sample, so I took it and a week later I decided to try it. It feels amazing when you’re putting it on; 1. it smells like heaven; 2. you can feel it moisturizing your face, without leaving it feeling oily; 3. after applying it, it looks like your skin is glowing. Today when I walked by, I asked to see their other products as well and the guy working there applied a bit of the cleanser on my wrist and showed me how it worked. I’m honestly telling you, it looked so amazing and it left my skin feeling incredibly soft. I had just taken a shower that morning so I didn’t think my skin would be dirty, but when he wiped the cleanser off, he showed that all the dirt was being pulled out of my skin and it was crazy to watch. I am so tempted to buy all the products, but I’m really trying to save my money for other things. I don’t think I’m going to be able to resist the temptation though, because this stuff looks so good and I have acne, and I really believe it well help clear my face. Thank you so much for handing out samples, I have definitely found my new favourite moisturizer! Love you websit. It’s really well organized. Love my new skin care regimen! Was seeking better skin for my wedding! Found it! I love the site! I have learned so much about the products. I loved learning that the product ingredients are easily available. I had never heard of cosmetics being infused with the finest gold from Italy. I just turned 50 and hope this line can turn back a few years. Thank you..
Hi gorgeous people at OroGold, I really love your new website and the design! I am so excited to share it with my friends and family. We absolutely love OroGold products because it’s simply The Best quality and results! I really love the historical fact about “Cleopatra used gold in her skin care routine.” Love the gold and black design. I also found your website very informative and very easy to navigate. Videos section is just a terrific idea, as a customer I love to see and learn more about your product and application technique. Thank you! The website’s pretty chic and easy to use. Loving the black background with the gold letters. Bought the cleanser, exfolliant, serum, eye cream and night cream, body scrub and after shave balm for my housemate. Yesterday, we both returned to the Roseville Galleria store to have facials by the wonderful Mary Ann at that location. The results of the last two weeks’ use of Orogold products has been pronounced. The results of yesterday’s facials were incredible. My housemate, he has fair skin, red hair and freckles and although he doesn’t look his age, the results of the facial were incredible: firmed everything up and minimized wrinkles, crow’s feet and evened out the skin tone and translucency. Same results with me. We bought the mask, eye patches and the products for the one-hour facial. This web site will be very useful to assist us in getting the maximum benefit out of these very efficacious products. Thank you for creating it. I love the initial impact of the site when it first loads. It looks very classy and elegant. The information and ease of use are very great qualities, as are the videos. Love the products, feels great on my skin and this website is very interesting, good information and videos. Website is a great – informative and useful. I love the Orogold website! The black/gold design of the webpage is sleek, sophisticated, and cutting-edge–the exact same qualities that embody Orogold products. The Oropedia (awesome name!) and videos are very user friendly, and enable even inexperienced customers to fully appreciate the technology behind Orogold products. From the information on the website (and the conveniently located customer service box on the left hand side), Orogold is clearly concerned about the customer experience, both in helping customers select a product as well as ensuring satisfaction with the product. The high standard of Orogold products, and the value Orogold places on its customers, make it a truly amazing company! I tried your produce at Main Place, Santa Ana and I really like it. I will go there to buy your products today. I love the Orogold website! The black/gold design of the webpage is sleek, sophisticated, and cutting-edge–the exact same qualities that embody Orogold products. The Oropedia (awesome name!) and the videos are very user friendly, enabling even inexperienced customers to fully appreciate the technology behind Orogold products. 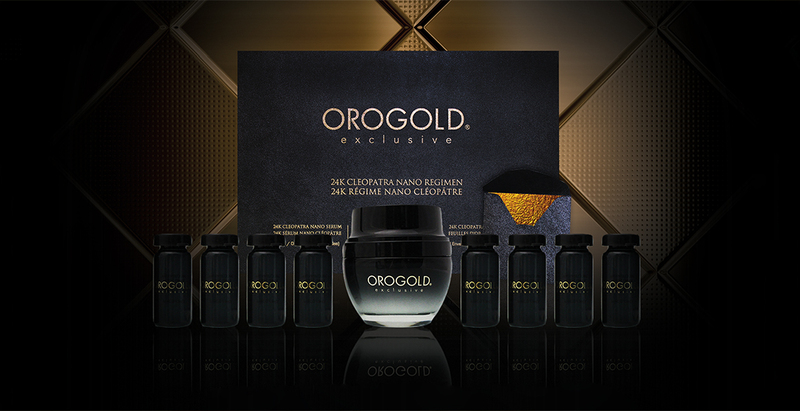 From the information on this website (and the readily available customer service box on the left hand side), it is evident that Orogold is primarily concerned with the consumer experience, both in helping customers select a product as well as ensuring satisfaction with the product. The high standard of Orogold products, and the value Orogold places on its customers, makes it a truly amazing company! I love your website and I really love that you have the history of Orogold and the oropedia is fantastic. I love how there is finally something we can use to make our skin better and I just adore the moisturizer the most but I love all the products as well! Thanks for bringing Orogold it’s really great. It helps make people look more young and spectacular! It really gives my skin a glow which I love! I love this website because we can get all the information we need right here and some great facts of what this is. It’s truly great, the website and the products. I am so happy to see such an informative site! Yesterday I bought the full skin care system (eyes, body scrub and lotion, termica – the works)! I am so excited to use this and see results! I would suggest slightly less text in each of the sections. Perhaps the wording could be more concise. Otherwise, I love this site! I love the black & gold finish, simple and clean that pulls our focus to the main thing at hand, which is learning about Orogold products. The layout is nice and simple, without being too bland. I love that you put all of the important information (like history and experience) upfront. It allows the user to become close and comfortable with OROGOLD! Amazing! The site colors and everything goes perfectly with the Orogold theme. Easy to navigate through even on mobile! Lots of good information on the products and why we love them so much. Great website. I love orogold cosmetics and after using orogold, my skin “magically” transformed!! This website is great because it tells you a lot of info about the product. I love knowing more about the product when I use it. I purchased 24K Deep Peeling today and I am so excited to use it! The visit and worker were welcoming and informative, just like this website. The website provides useful information, including a deeper, yet slightly brief explanation of their use and reason of ingredients and collections, which most high-end companies do not supply. The website was easy to navigate around and was nice to see a uniqueness to this company. Can’t thank you enough, Rita (Paramus, NJ) for introducing me to this product! In addition to all of the wonderful things you are doing and creating, I’m pleased with how easy it is to navigate your website. I’m looking forward to becoming more familiar with your products! Really glad I came and looked at the new Website! I am 48 and always looking for ways to freshen my skin and look younger of course! I really like that the ingredients are not only listed but seem to be well researched in your products. Thank you for coming out with a great skincare line and the Website looks awesome! I really love Orogold’s product. I was researching a hand cream that I received when I first tried the Oro Gold product and decided to Google Oro Gold. I saw a reference to the school web site so I decided to check it out and see if I could win your package. I found the web site very informative and exactly what I would have liked to have access to back a few years ago when I first tried the product. I really liked the Oro Gold products that I tried and I have very sensitive skin so that is saying something. I’m totally amaze with this website. I find it interesting. I’m sure I will learn a lot about the beauty products at how do I take good care of my skin. Very informative website. This website will serve as my guidelines on how to take care of my skin and what products do I need to buy.. More power!!! keep it up!!! Your new website is so sleek and easy to follow! This site is simple to navigate which is important to customers, some sites get too bogged down with excess, and finding the information I am looking for can be frustrating. I, also, love seeing your customer service phone number on the left hand side, readily available and easy to spot. The videos you provide are fantastic and makes it that much easier to decide on a product. The new site appears sleek, attractive, and functional. I appreciate products that stand behind research and cutting-edge tactics to deliver good quality. I would love to win the giveaway as I doubt I would be able to afford the products otherwise. There is a wealth of information on the homepage. I read some information I never knew before, which is great. And the products and locations look to be of high-quality. I love the look of the new website, it’s very informative and the products look and sound amazing I have wanting to try them for some time now. I have been using Oro Gold Cosmetics for over two years. I first tried this line of products when in Las Vegas. I purchased the lline of creams, serums and other products. I love it. I noticed an improvement in my skim immediately. I have many people asking me what I use. They can’t believe that I am 54 years old and look 42. I have taken many friends to the store in Las Vegas while on vacation and they all love the products. The closest store to me is 3 hours away. I would love to win the $500.00 shopping spree. Looking forward to my next pruchase. I find this classy elegant and informative as one would hope for when researching im happy i came across your site. i like this site and how it is organized and simple it is. Everything looks so high quality, and I love the bottles and packaging I see just from scrolling down the website. I like the simplicity of the layout of your homepage. Too many websites are just “too busy”, this one is easy to navigate! I like to try new beauty products, especially if the ones are innovational. Hope this new site will help us to choose the best products to different types of skin. These look like high quality products! I like that all the collections have anti-aging components, and some of them focus on certain aspects of more youthful looking skin. I like the (one on one) info you provide for your products~ It will be a great help for someone that needs help using the products. Orogold you are amazing and you make every step helpful and we can trust you. I have to say my children and grand children can have a product that cares about them! I never have heard that, “Cleopatra used gold in her skin care routine.” Awesome historical fact to know. Thanks, and I love the site! Giving supplimental informatiol about orogold Can make people Comfortable using your product. this site is more convenient interms of asking and searching additional knowledge about OROGOLD.